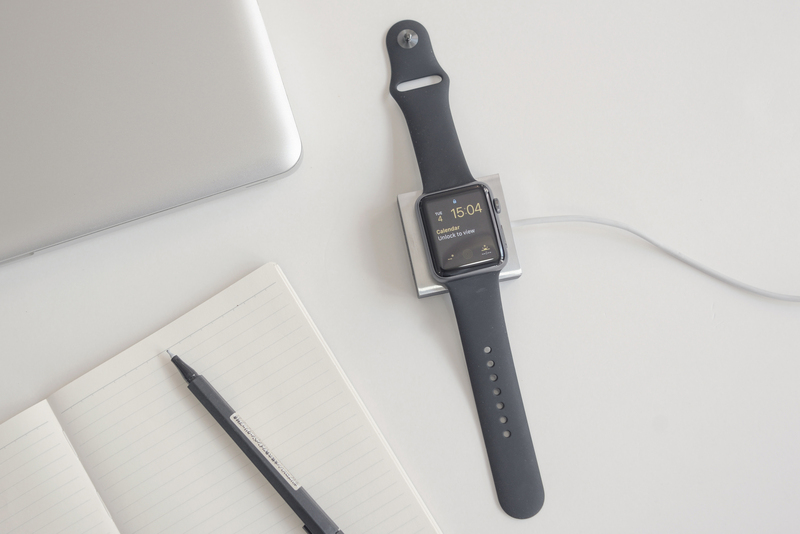 Still looking for a charging dock for your Apple Watch? Native Union has just announced a new, and very simplistic, home for the wearable device. 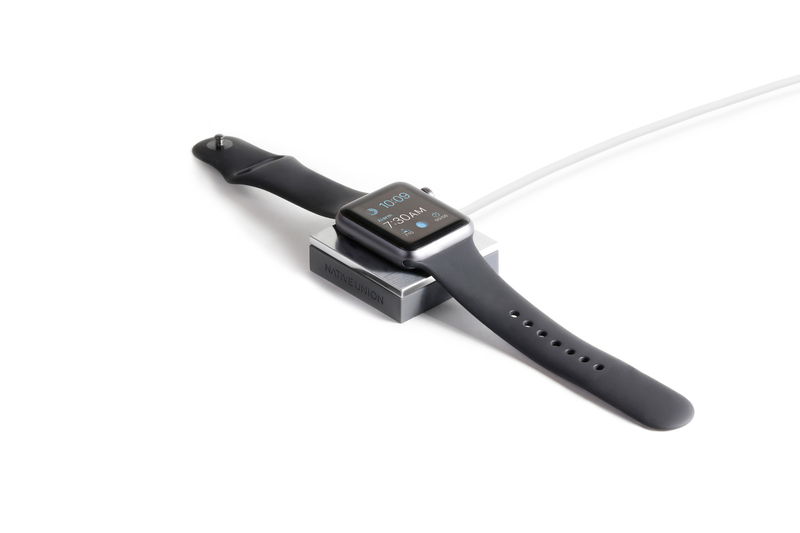 The Anchor is the second Apple Watch charging solution from the company as its Dock arrived during the summer. But unlike that option, the best part of the Anchor is in its simplicity. Weighing in at just 0.22 pounds, the entire solution is a 2-inch square that reminds me of an old-school paperweight. Officially hitting the market today, I’ve been able to try the dock out for the last week and have definitely found it useful. Getting set up couldn’t be any easier. The dock is made up of two parts, a black silicone bottom and a brushed metal top piece. You’ll need to place the magnetic charger inside the bottom piece and place the nice looking metal piece on top of it. That’s it. Simple is the name of the game for the Anchor. The combination of black and silver looks great and would fit right in on anyone’s desk or nightstand. While the Anchor itself is a true lightweight, the silicone bottom piece didn’t slide around my desk at all. But the simplicity does lead to some drawbacks. You’ll need to unbuckle your Apple Watch strap to place it on the charger. That didn’t bother me, but may annoy some users. It also doesn’t support the handy Nightstand Mode in Watch OS 2.0 since the watch needs to be placed flat to charge. Even though the zinc alloy looks great, I did find it was prone to scratching. After just a few days of use, there were two large scratches on the side of my Anchor. The company also asks that anyone with a Milanese Strap or Classic Strap remove the straps before connecting their watch to the Anchor, which is disappointing since those are definitely popular bands. Anyone wanting to use Nightstand mode is WatchOS 2.0 will have to look elsewhere. I’m also not a huge fan of the $29.99 retail price. While the Anchor looks great and works exactly as advertised, it costs twice as much as one of my favorites – the Bluelounge Kosta – that supports Nightstand Mode and doesn’t require you to unbuckle the strap to charge. But if the all-silicone design of the Kosta doesn’t appeal to you, and if you’re looking for a classier – albeit simple – Apple Watch dock, take a look at the Anchor. And if you’re in the mood to splurge, Native Union’s Dock is just $30 more and seems to be a better all-around choice. Small and won’t take up a lot of room on your desk or nightstand. 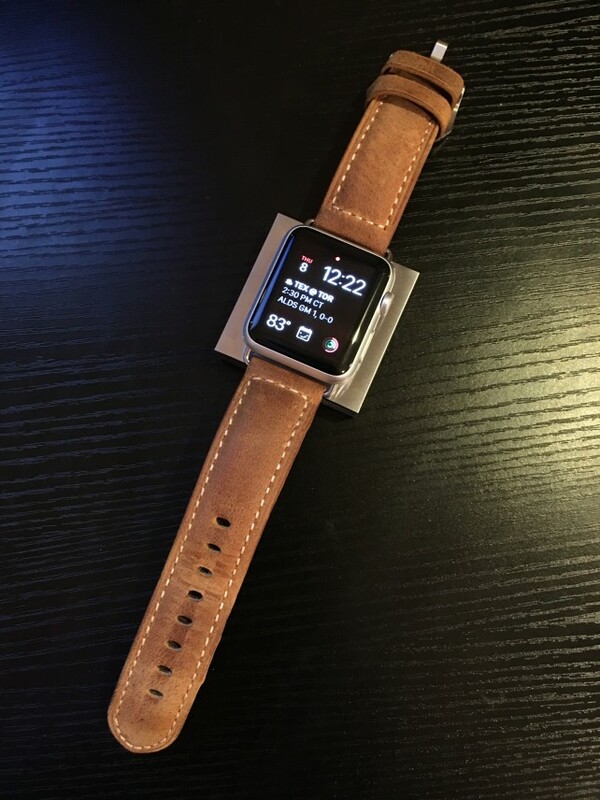 Stylish and would look great with any version of the Apple Watch. Pricey compared to other minimalistic dock options. Top metal portion is prone to scratching. Can’t take advantage of the Nightstand Mode in WatchOS 2.0.